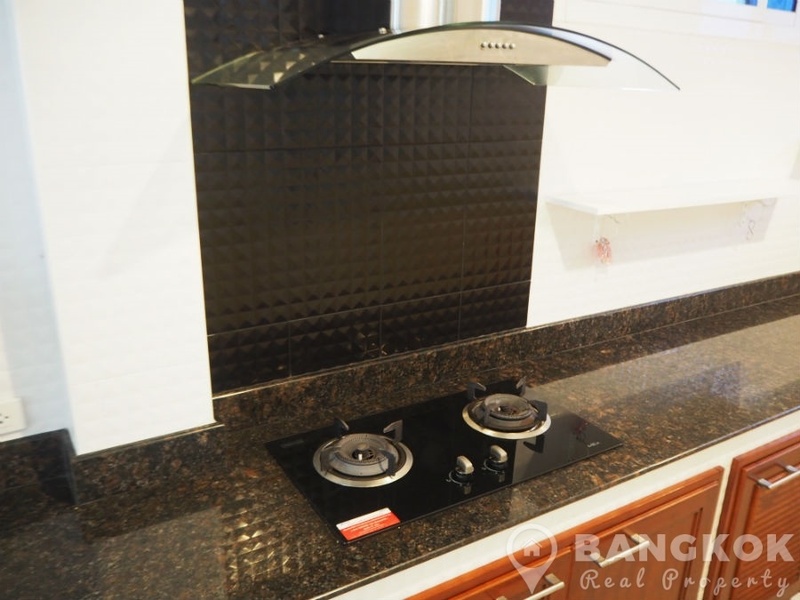 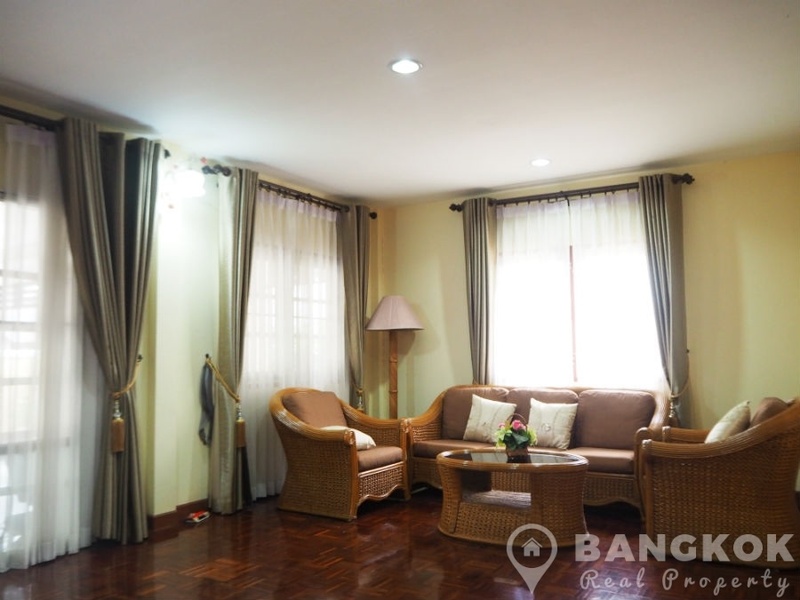 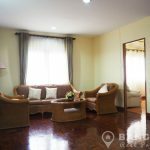 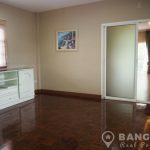 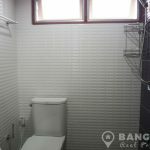 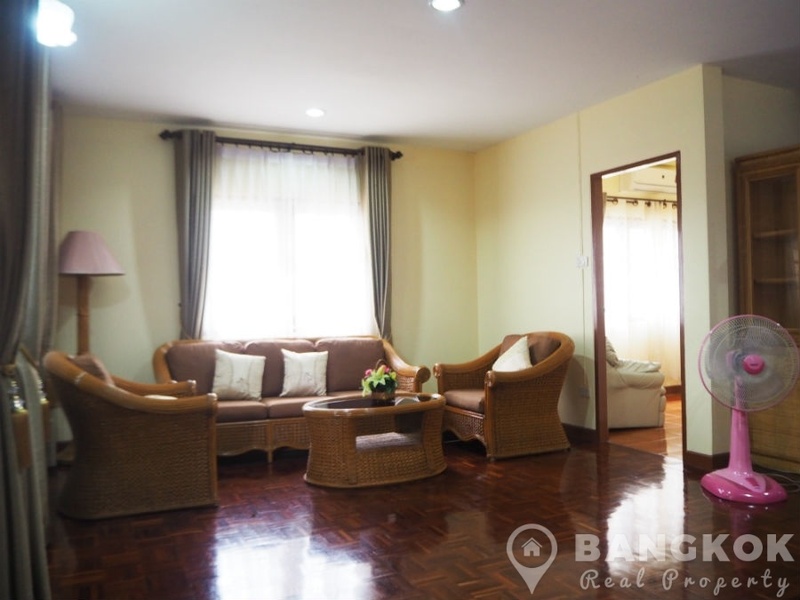 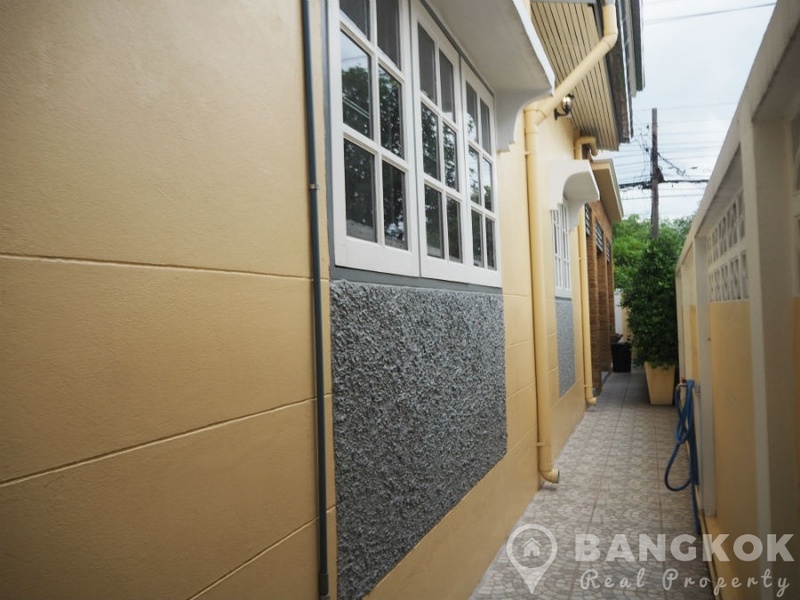 This very spacious, detached and recently renovated, 3 +1 bedroom house is now available to rent in Sammakorn Village located just off Ramkhamhaeng Road. 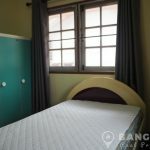 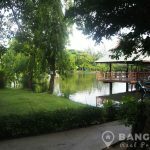 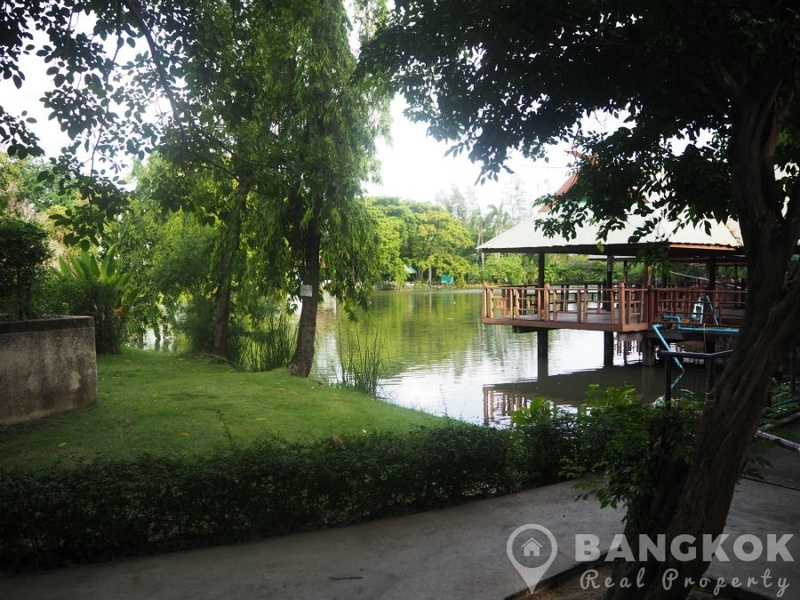 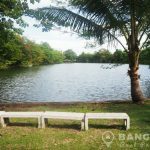 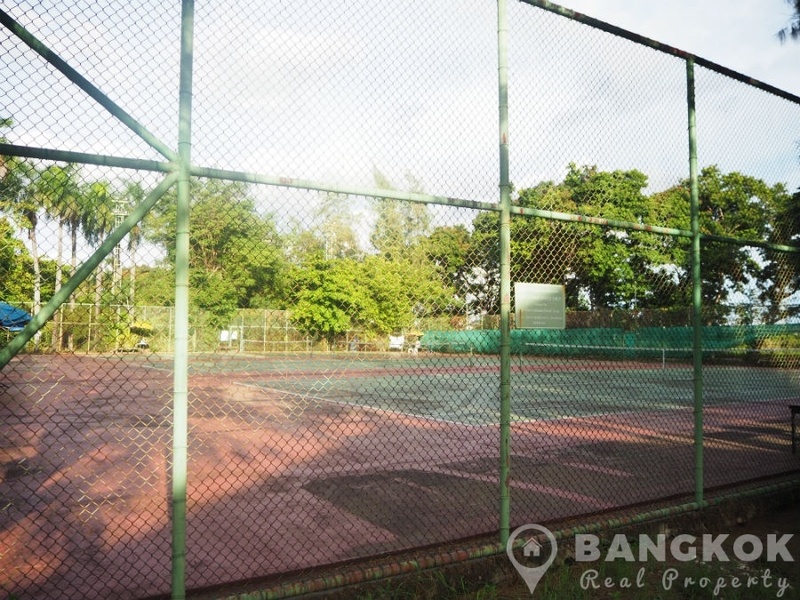 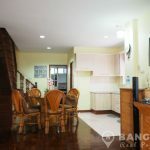 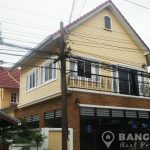 The house is conveniently situated in a quiet leafy soi behind the popular “Lord of Coffee” cafe. 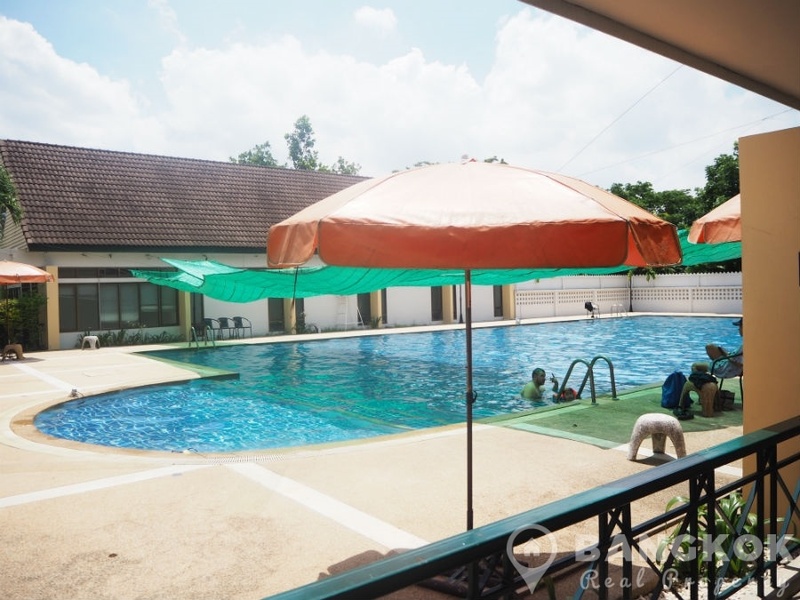 Sammakorn Village living offers residents convenient living with easy access to the Pure Place Mall, Villa Market, Starbucks, Tesco Lotus, excellent local shops, market and restaurants. 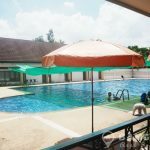 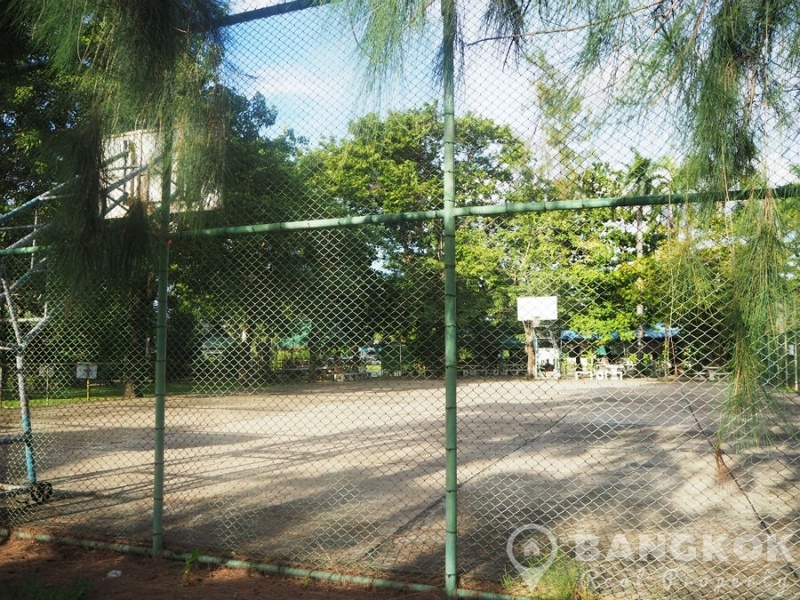 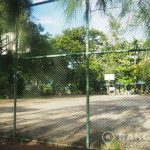 Nearby is the newly built Paseo Town Mall and there are various top rated international schools nearby including Bromsgrove, Ruam Rudee and Ascot. 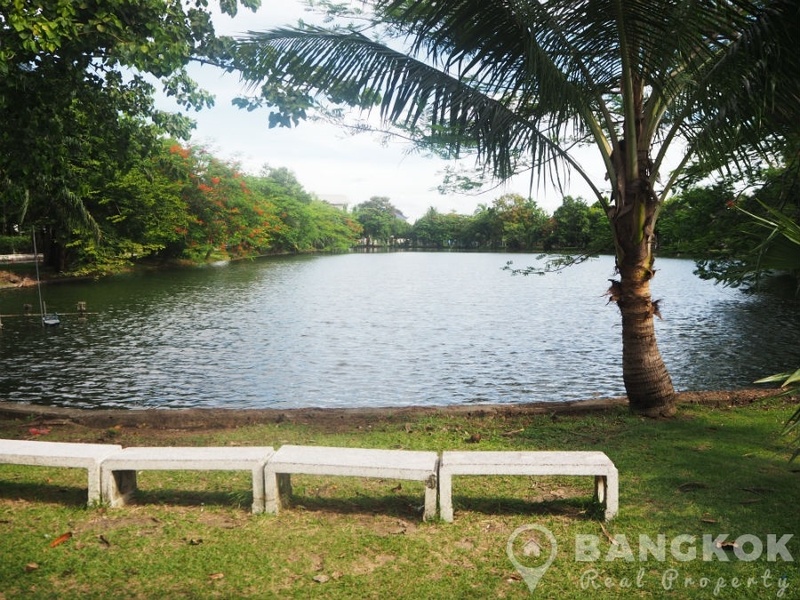 The Ramkhamhaeng ARL station is a short drive away. 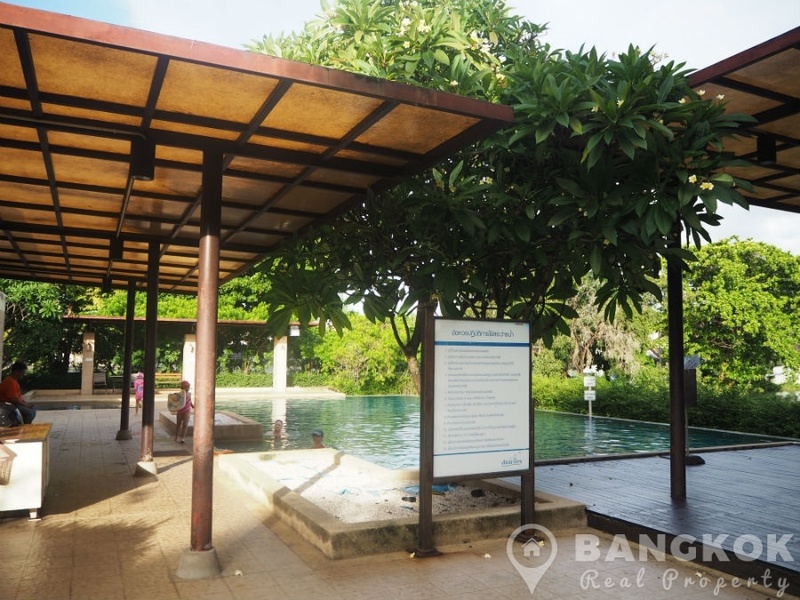 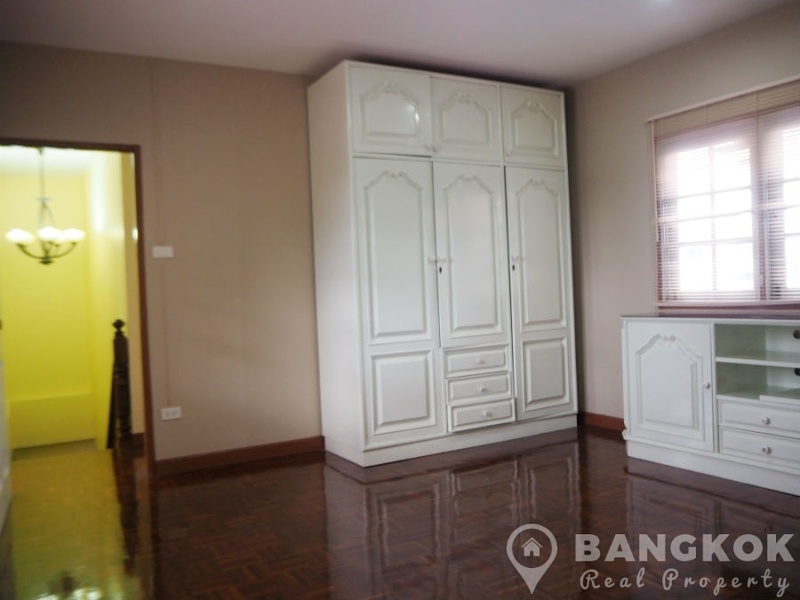 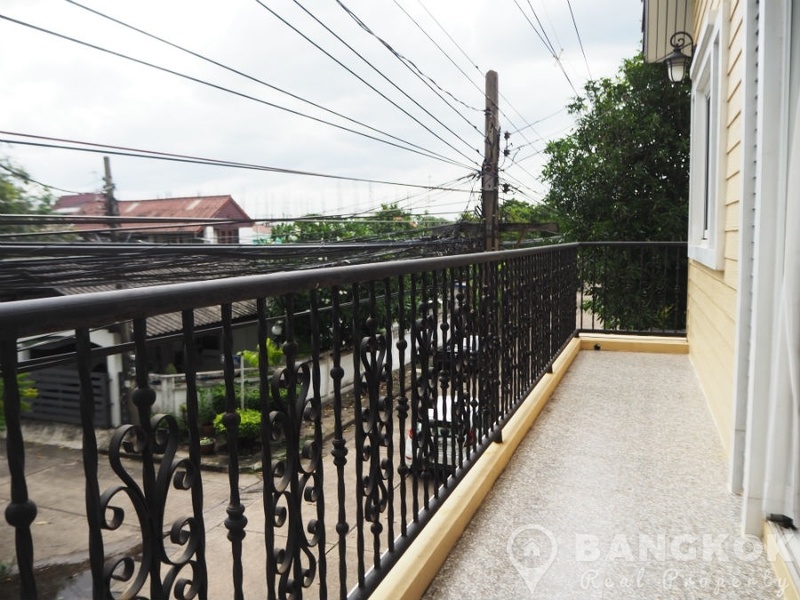 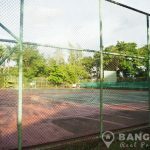 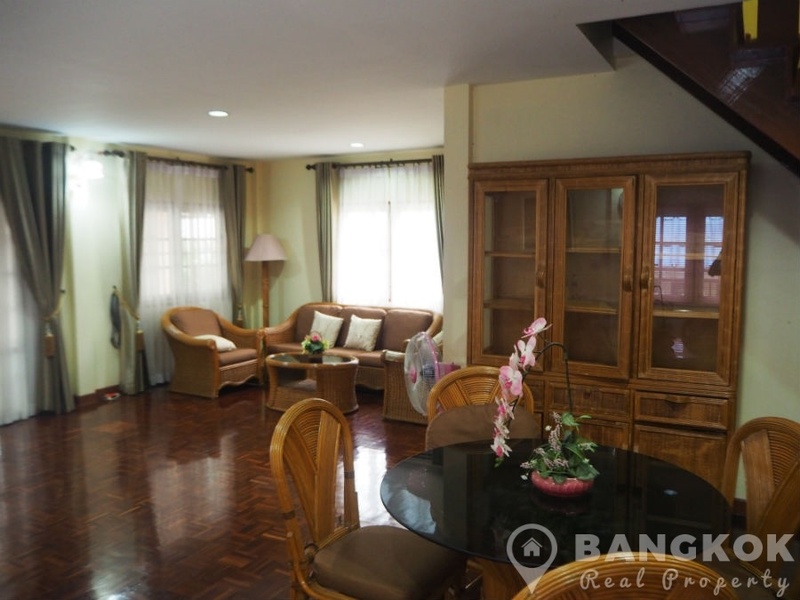 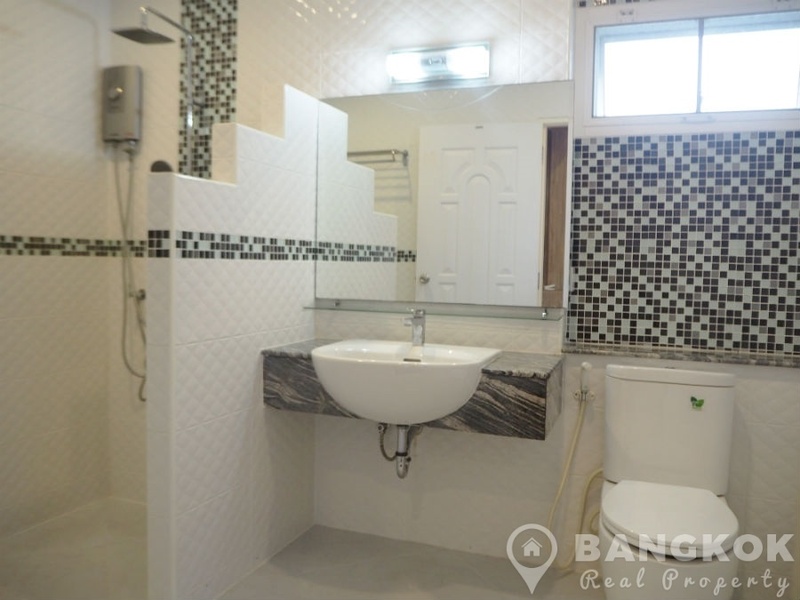 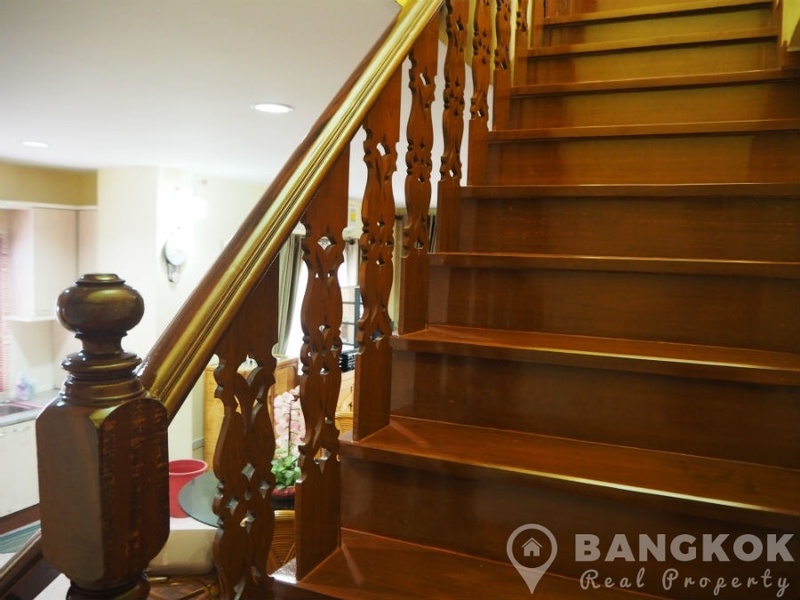 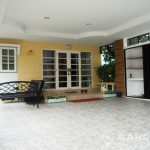 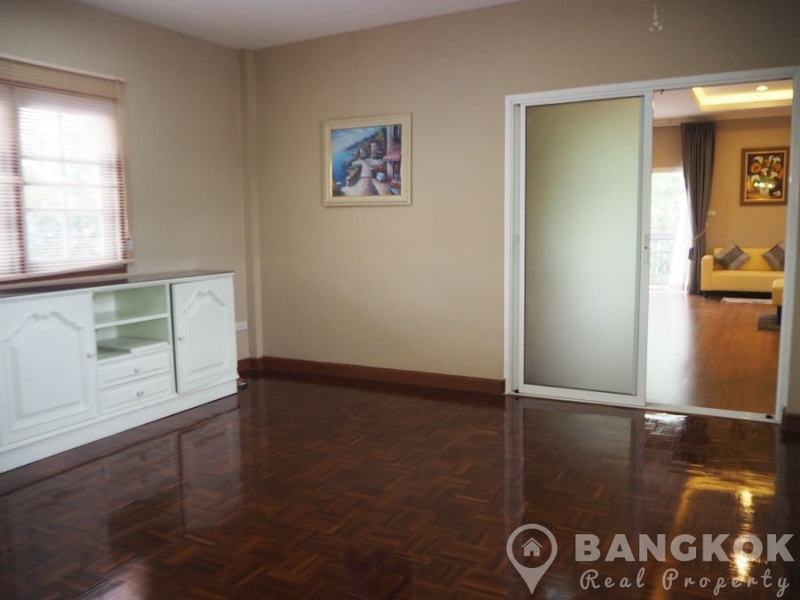 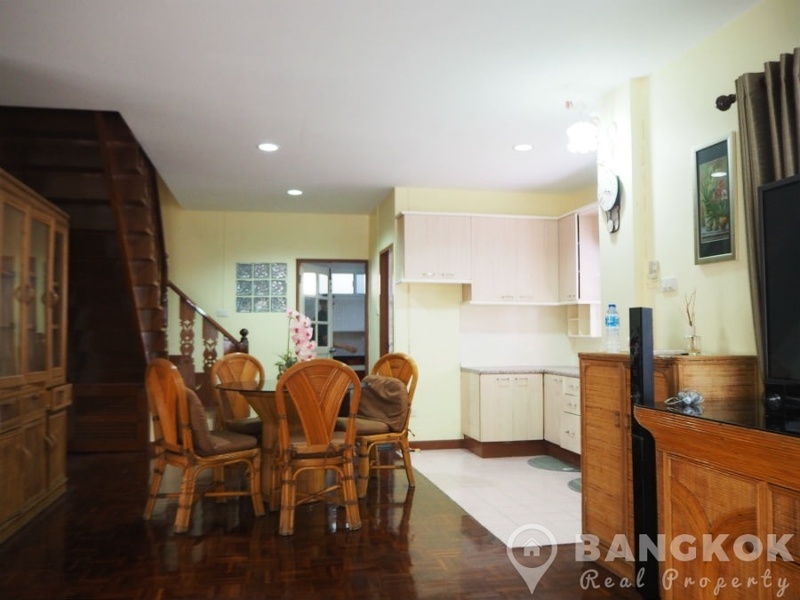 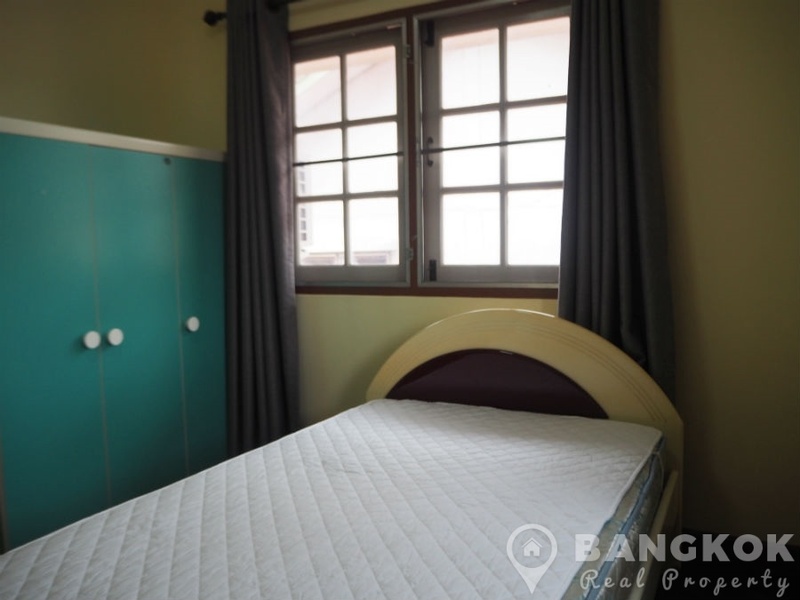 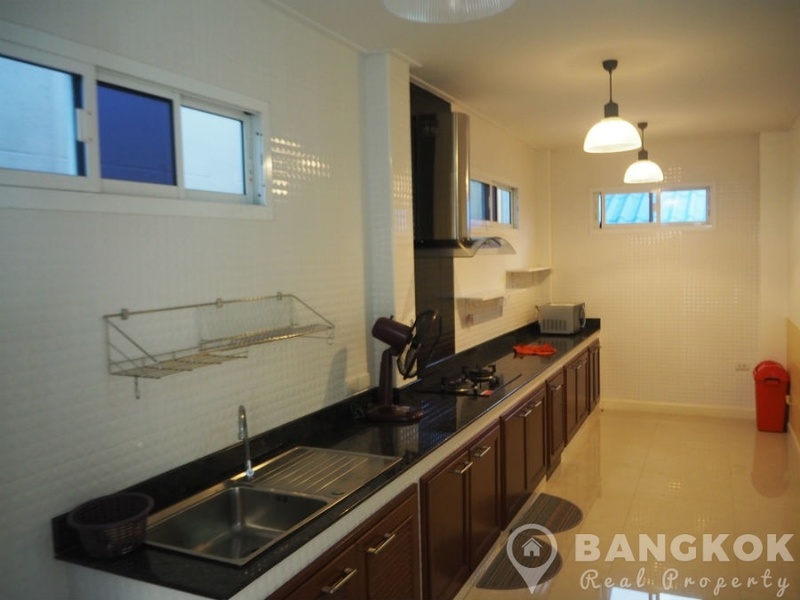 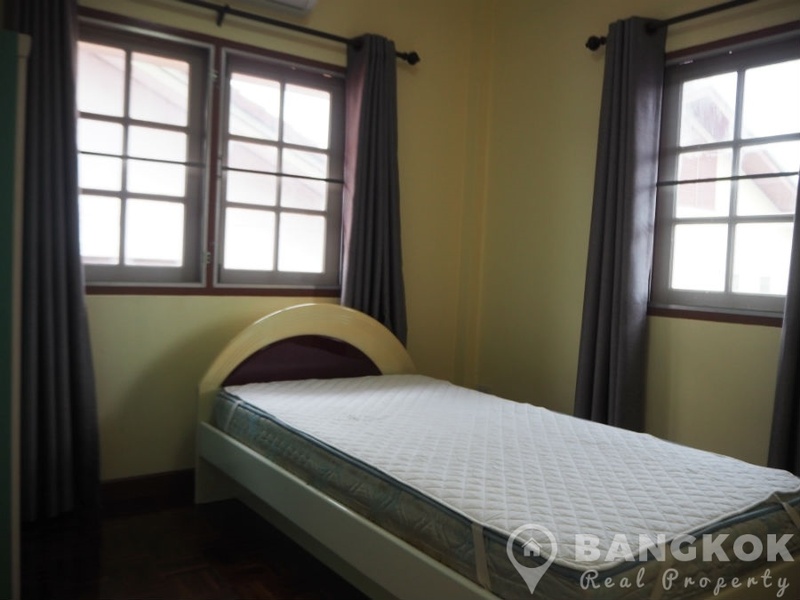 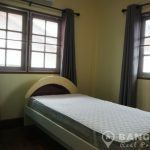 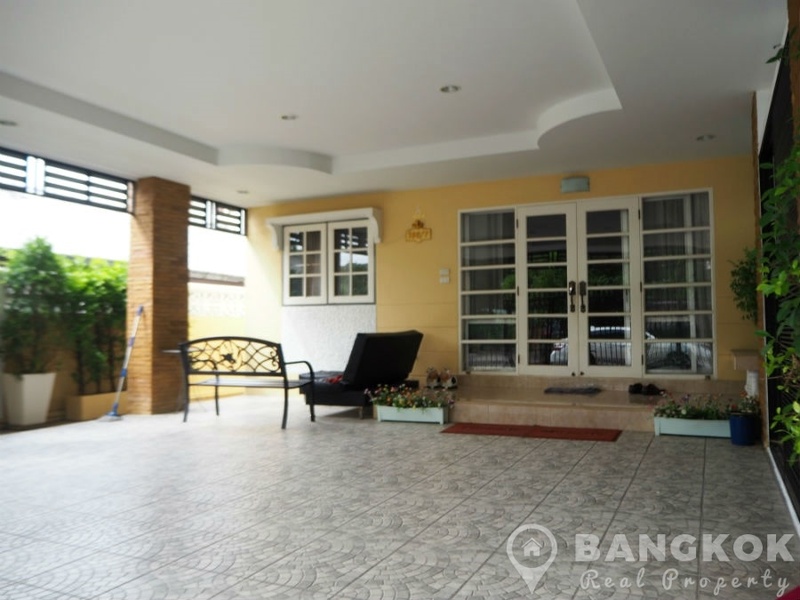 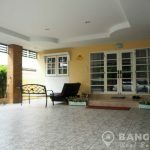 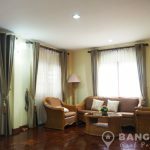 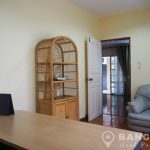 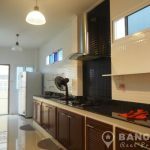 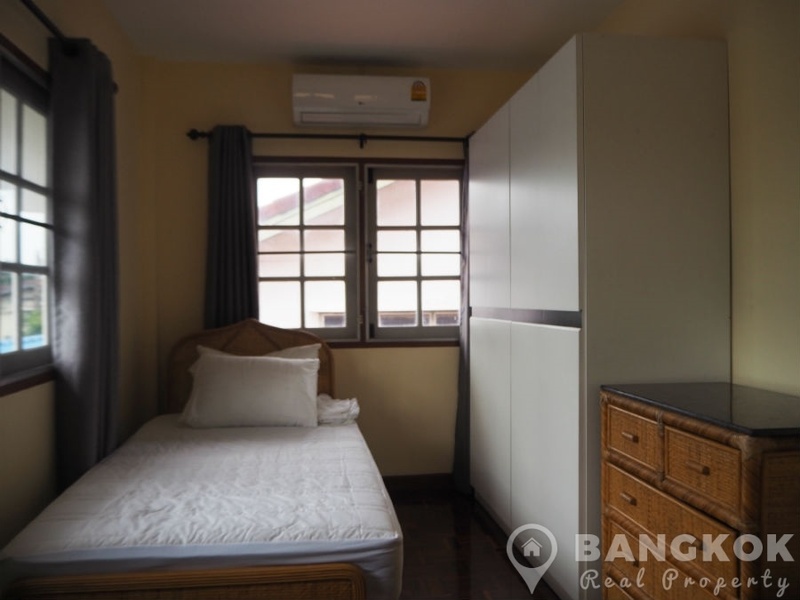 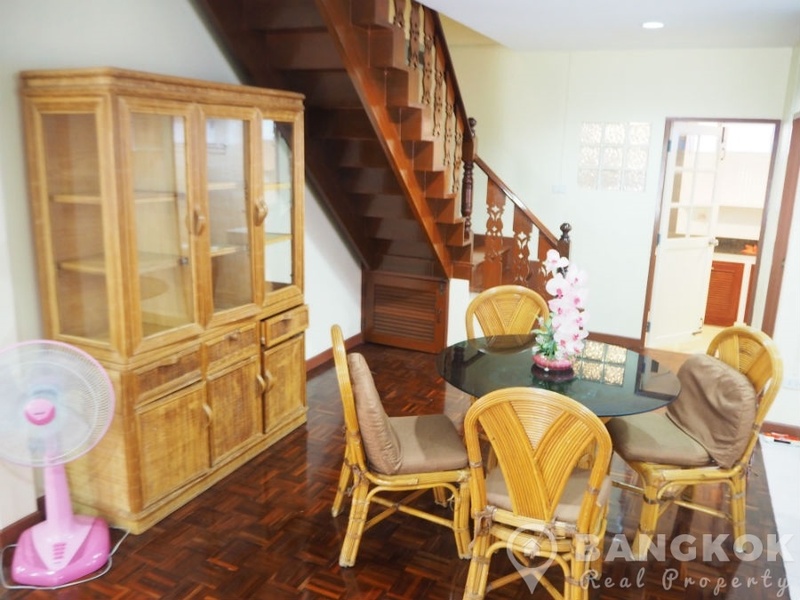 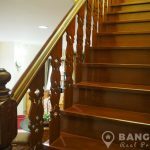 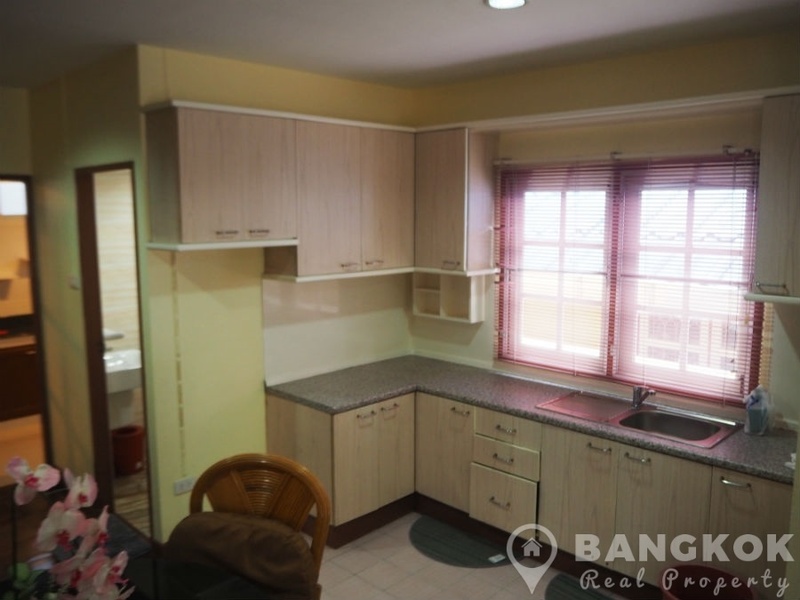 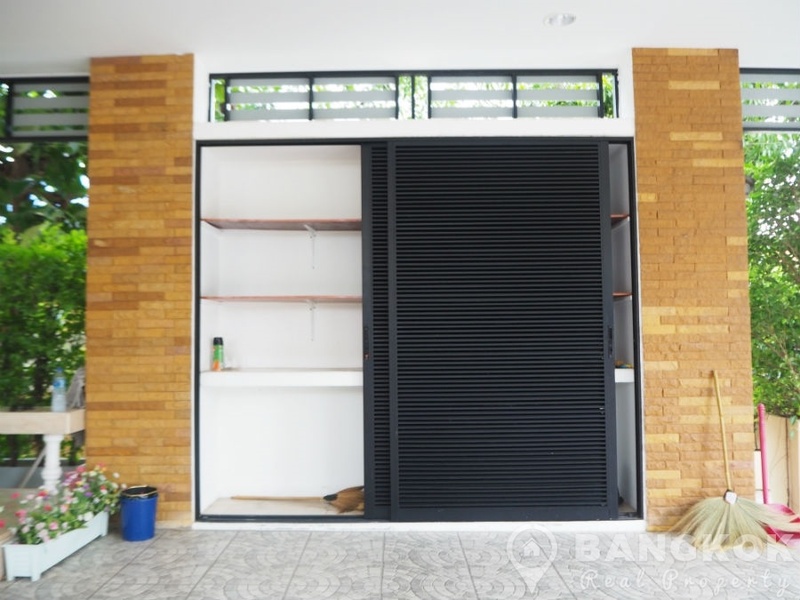 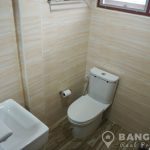 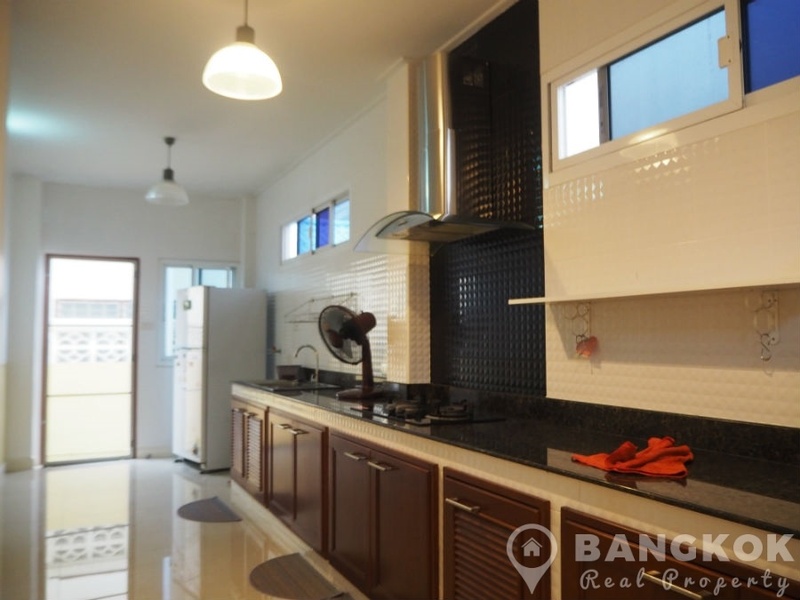 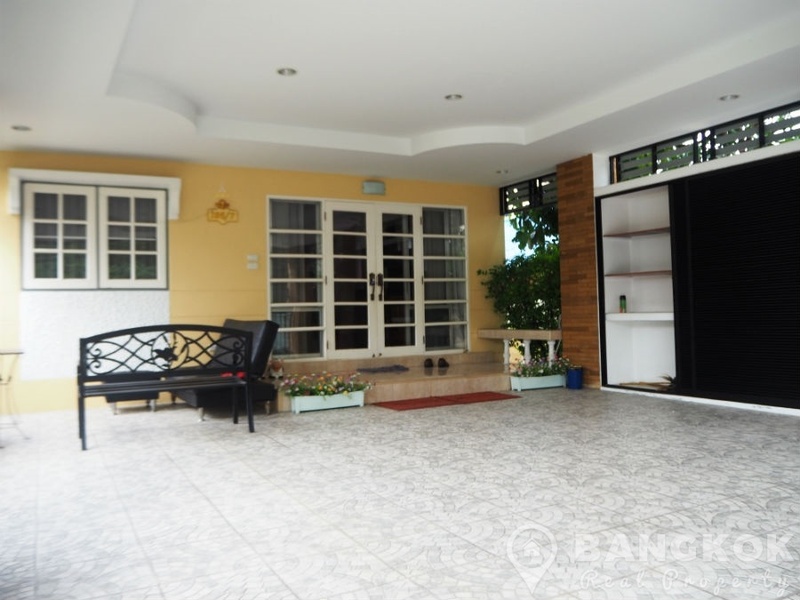 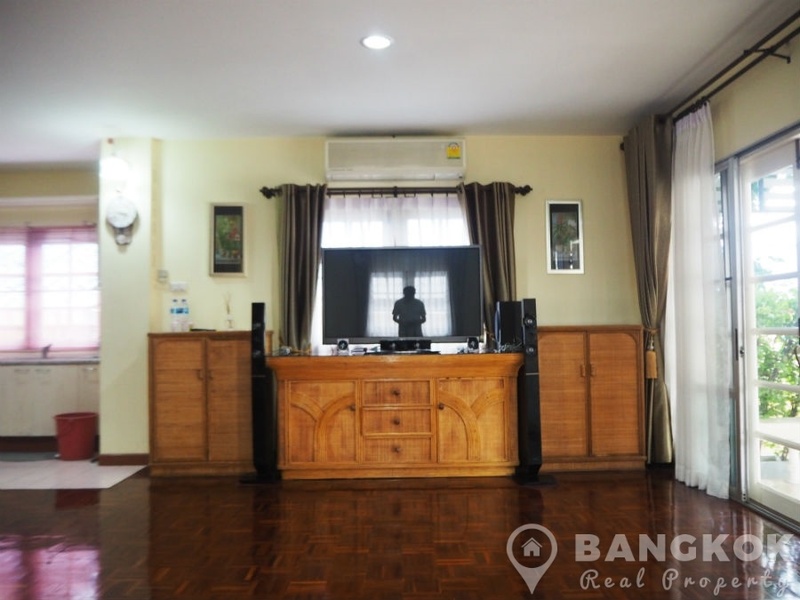 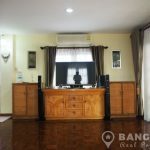 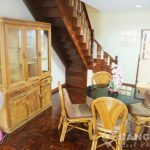 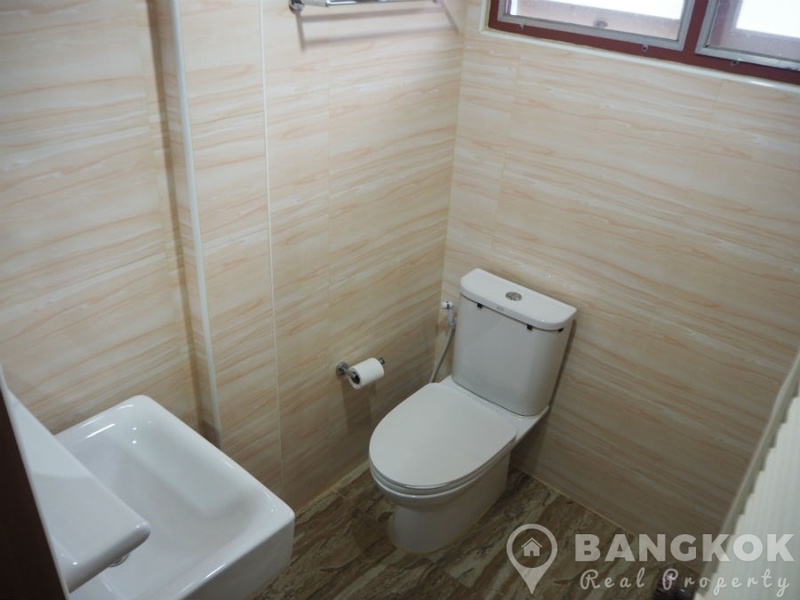 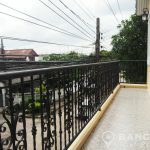 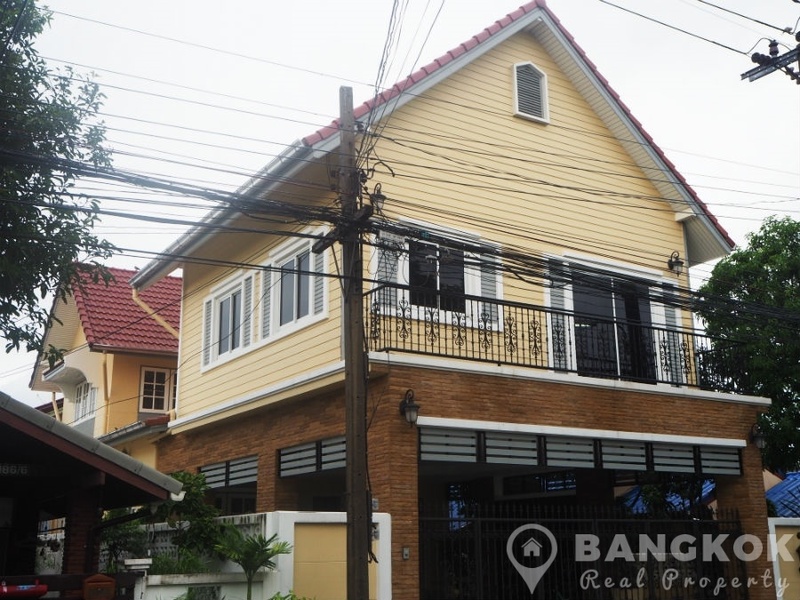 This 2 storey (2 floors), detached home in Sammakorn Village has 3 bedrooms, 1 study (or bedroom 4), 3 bathrooms and has c. 250 sq.m of living space on a plot of 70 sq.wah (280 sq.m). 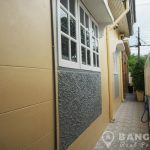 The house was recently totally renovated in 2017. 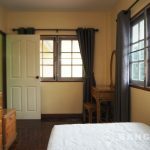 The house opens to a large airy living – dining room with plenty of windows, hardwood floors, LCD TV, a western “butlers pantry”, guest bathroom with shower and study room (or bedroom 4). 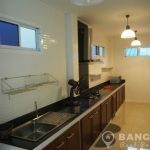 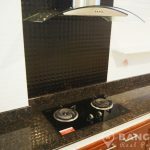 There is a separate “galley style” kitchen with extensive fitted units, built in gas hob with stainless steel extractor hood, microwave, fridge-freezer and the owner will provide a washing machine. 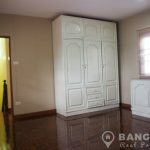 Upstairs entering the master bedroom is a huge walk in wardrobe room with good storage, this room could also work as a study or nursery. 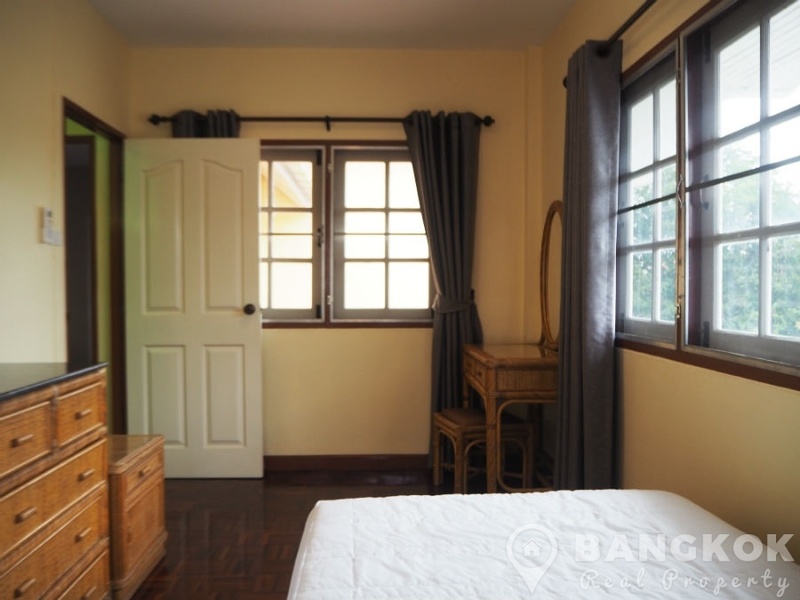 The master bedroom is very spacious with multiple windows, access to a large balcony and extensive wardrobe and storage space with its own ensuite bathroom with power “Rain Water” shower. 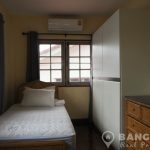 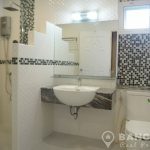 There are 2 additional bedrooms both with good storage and a family bathroom with power shower. 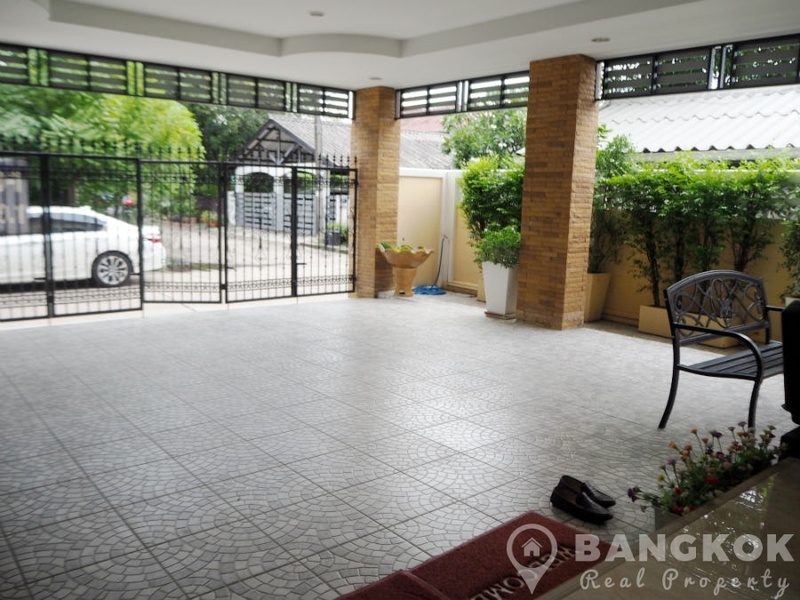 Outside there is a patio style garden with mature shrubs and off street parking for 2 – 3 cars.